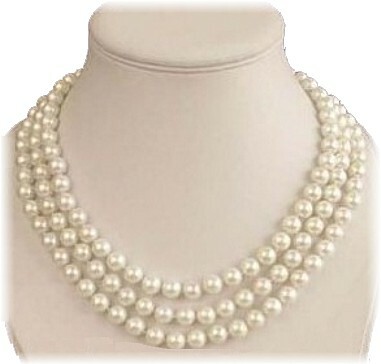 So wonderfully plain and simple - yet absolutely stunning for exactly that reason Three rows of lustrous Akoya Cultured 7-8mm natural pearls. Ideal for all ocasions from wedding and party to everyday. Length: 43cm (17"), 46cm (18"), 49cm 19").